Chris Gold is a 25-year-old emerging music producer from Germany. After working for three years in Frankfurt am Main, mainly in the background as a producer, he decided to come to the fore himself - with fast-paced success. At a young age, he has already been able to attract attention with remixes on labels such as Sony, Kontor and Planet Punk Music. His remix of Klaas's single "Together" has now reached 2 million plays on Spotify, as well as his single "When Do We Dance Again" being in the Spotify Viral Charts, proving his talent. His sound can be roughly described as follows: A unique mixture of tropical sounds, deep basslines and partly melancholic guitar elements. 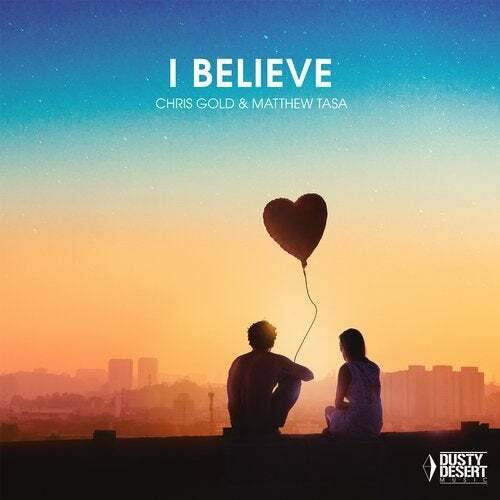 I Believe He has teamed up with his friend and mentor Matthew Tasa for his new song "I Believe". The track is a rework of the eponymous 80's Classic by Blessed Union of Souls. The track is especially characterized by its positive vibe and a more than catchy melody tune, which gives the whole thing a unique character.